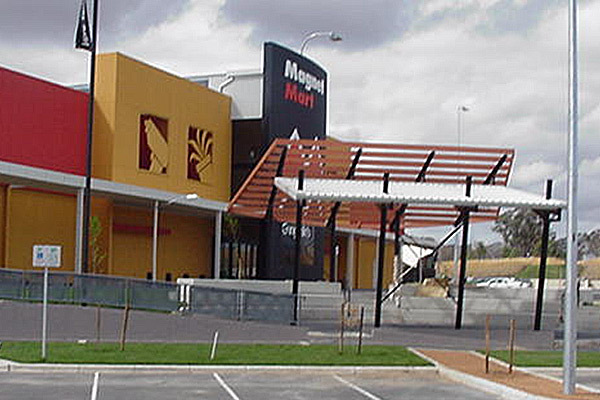 The Magnet Mart Gungahlin Project consisted of the construction of a retail warehouse comprising a central warehouse, garden centre and drive through builder’s yard. 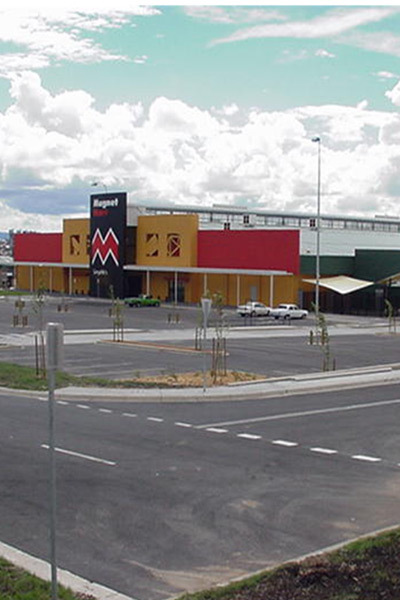 Further added value included a Garden Centre, Shade Structure, Security System and Sound System. Fitout electrical and civil works added to within the original contract sum. The Client fitout items were integrated with the base building programme. Cost minimisation on ground slabs by flat slab design and soff-cut sawn joint system.